We all know that a good cheese is a very complete food, a real concentrate of all the fine nutritional qualities of milk. Today I found out that Manchego cheese actually has such a high proportion of proteins that is in fact even richer in proteins than meat! That’s great news for all the veggies out there. Proteins are the building blocks of life. The body needs protein to repair cells and make new ones. Furthermore, protein is also important for growth and development during childhood, adolescence, and pregnancy (and Manchego is a safe cheese for a preggo to eat!). So now you know, next time you fancy some Manchego, stop feeling guilty about it. Yes, it might be rich in calories, but it’s good for you too! According to recent studies, more than 40 Million Americans are lactose intolerant. So often I feel sorry for him as he has to watch me eating (delicious) food he can’t even think of putting into his mouth without suffering afterwards. Luckily enough, Manchego is a cheese he can safely eat. Like all hard cheeses, Manchego is naturally low in lactose. 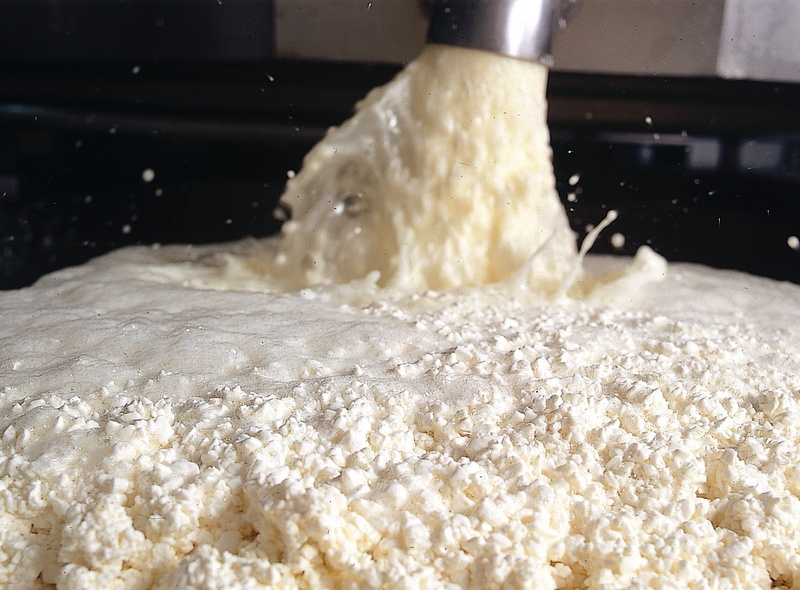 Additionally, being made with sheep’s milk – which has a lower percentage of lactose than cow’s milk – makes it more suitable for sensitive stomachs. Furthermore, as the longer a cheese is aged the less lactose it has, and Manchego can be aged for up to 2 years, lactic sensitive people have the perfect alibi to reach for the most exquisite of all Manchegos: the most aged ones. There you go. Nice pay off! When we talk about nutrition, we often think about our children since we want them to grow strong and healthy. It’s not so often we worry about the eating habits of our seniors and, by the looks of recent research, we should think about them much more. 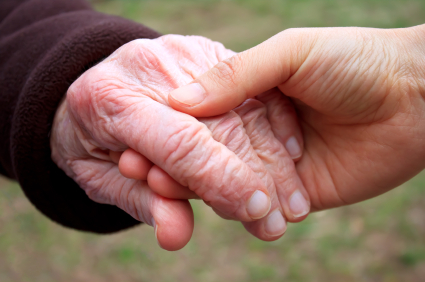 As elderly individuals continue to age, nutritional habits become more important and vital for them than ever before. When our seniors eat nutritious meals, they can maintain sharp minds and alertness, boost their energy levels, and increase their overall lifespans. Being high in calcium and protein, Manchego also has such important vitamins as A, D and E, which are fundamental to metabolic processes such as tissue preservation and calcium absorption. 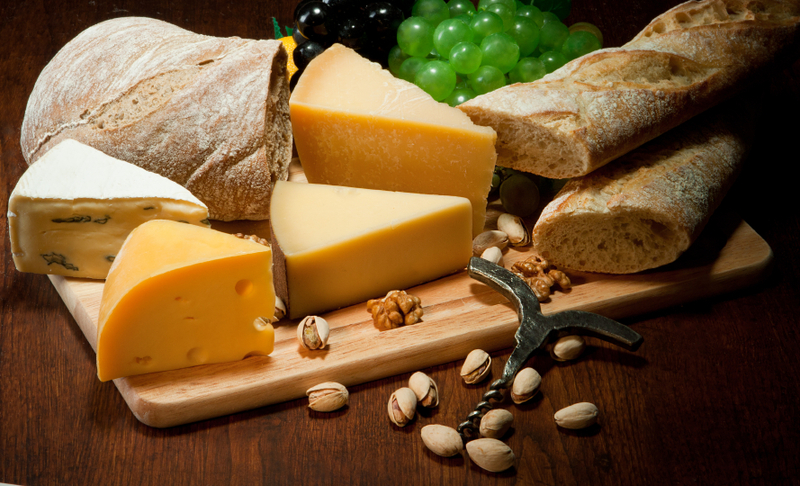 Because of these nutritional values, Manchego cheese is a recommended food for seniors. Not only it goes far to reduce bone calcium loss and it is more digestive than milk, it also tastes fantastic and it’s soft and easy to eat. Want to treat your seniors? 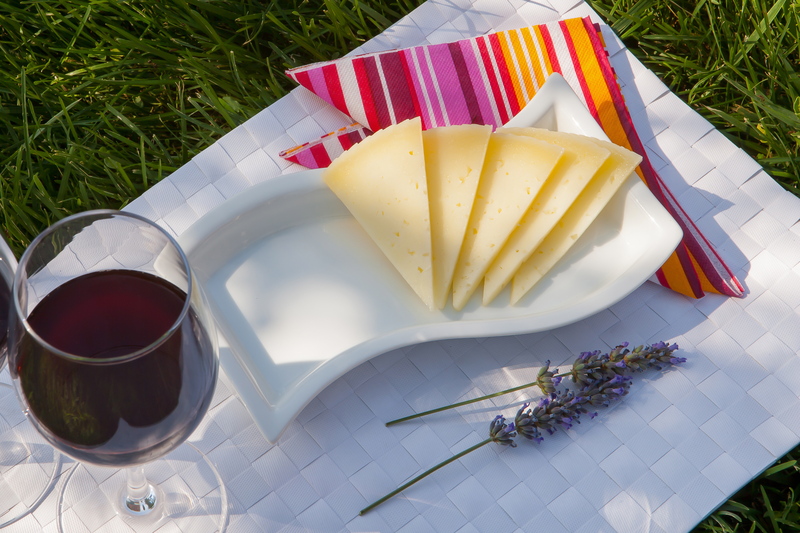 Show them your love and spoil them with some Manchego. Thanksgiving could be a great opportunity to do so. OK, so you bought a whole Manchego cheese. Congrats! You are all excited about the great cheese you’ve got and can’t wait to start tucking into it. Now you are home staring at the cheese and wondering what would be the best way to cut a wedge out of it without destroying the masterpiece. Cut the cheese in two halves. Cut a wedge out of one the halves – You should only cut as much as you plan to eat. Take the bottom bit of rind off. Cut it into slices about 5mm (1/4”) thick. Serve – if possible – at room temperature. Manchego cheeses taste their best at 20ºC / 68ºF. Shredded Manchego: A perfect topping for soups or grilled vegetables, you can make shredded Manchego cheese, by placing your chosen wedge in a food processor and rotating the blade. Shredded Manchego will easily keep at least 6 months in the freezer. When you want to thaw it, take it out of the packaging and place it on paper towels top and bottom. This will absorb the moisture. Remember that after defrosting, shredded Manchego is best used in recipes where it will be melted. Grated Manchego: Grated Manchego cheese is ideal for sandwiches, burgers, or as a topping for garnishing any given dish. 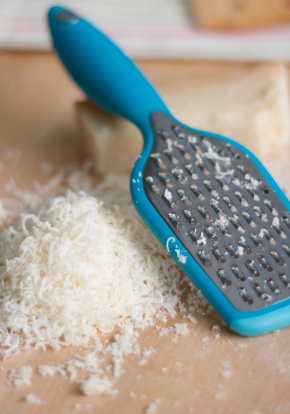 To get grated Manchego, you may use a cheese grater or a vegetable grater and gently rub the whole block from an upward to downward direction. Shaved Manchego: Finally, one of my favorite cuts, the shaved Manchego. 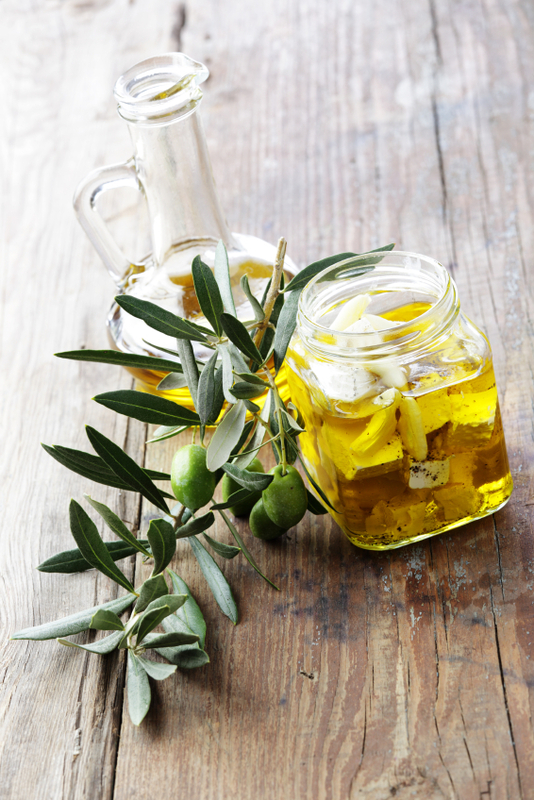 This delicate cut is perfect to add a sophisticated touch to any basic dish – I specially love it on my salads and pizzas! 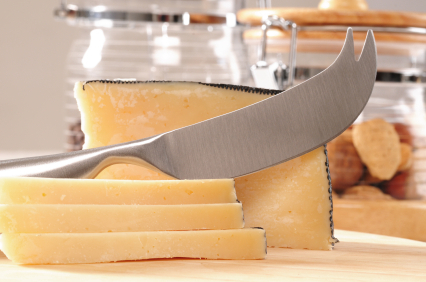 To thinly shave Manchego cheese, you can use a vegetable peeler. To achieve an authentic look, aim for an uneven cut. That’s it, my six favorite ways to cut Manchego cheese. How about you? Have you got any other ideas? If so, I would to hear from you. #10 – IS IT AFTER OR BEFORE? The way we eat is determined by our culture. The way we eat cheese even more so. 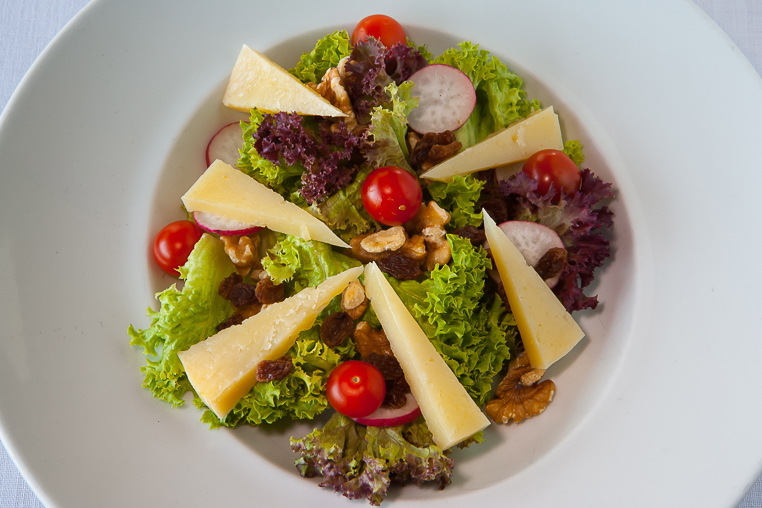 Spaniards usually eat Manchego as a “tapa” or a starter BEFORE lunch. 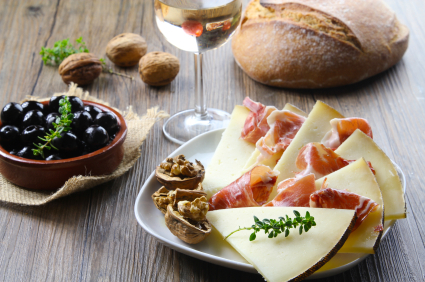 Together with a glass of wine or a beer and accompanied by freshly-baked bread, Manchego brings the perfect flavors to get the taste buds ready for a Mediterranean feast. French, on the other hand, enjoy cheese AFTER every meal. 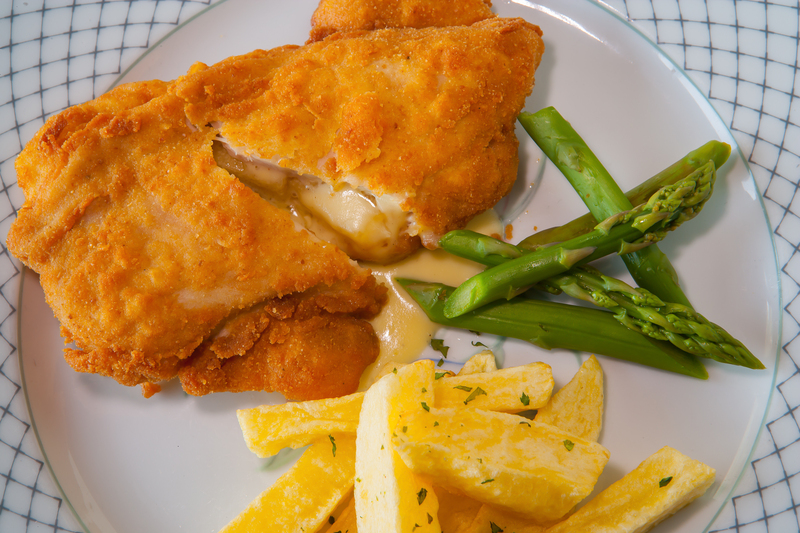 A tray of fine cheeses normally follows the main course. Sometimes these cheeses are presented as dessert, in which case fresh fruit or/and fruit spreads may go on the side. In other occasions a sweet dessert follows – as for the French sucré must always follow salé. To make things even more complicated, British would never offer a sweet dessert after the cheese. As they’ve learnt to enjoy cheese with a glass of the rich fortified wine they invented, for them cheese should always mark the end to any bohemian evening. Then, what should we Americans do? 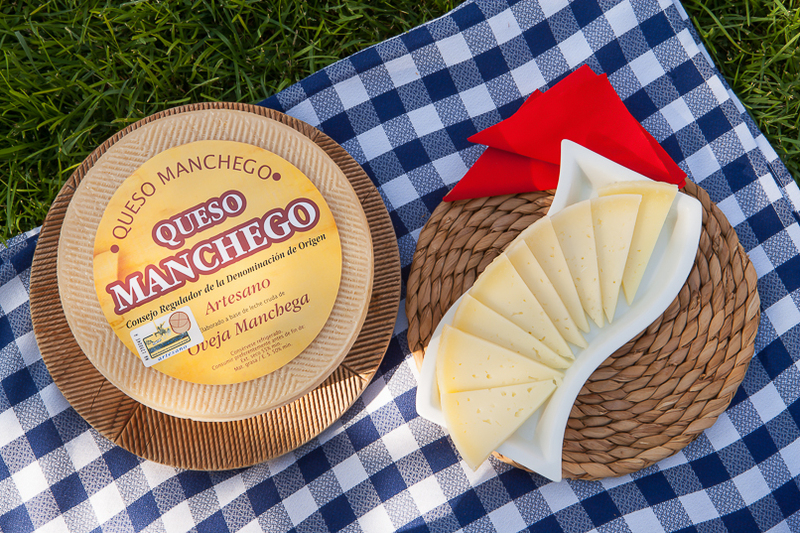 The solution is pretty simple: Let’s take the best of all cultures and enjoy Manchego before and after, day and night. 1d3Michelle fails to remotely acknowledge that she does not have the right to just sit down &#8d02;In2ian Style” in the middle of a walk way at a public facility (i.e. store). That is called loitering, and likely violates fire codes. The target employees clearly handled the situation poorly, but people can’t just plop down wherever and whenever they feel like it. It is rude to inconvenient to other shoppers. What i don’t understood is in truth how you’re now not really a lot more smartly-preferred than you may be right now. believe it from numerous varied angles. Its like women and men don’t seem to be fascinated except it is something to do with Woman gaga! Thank you for another fantastic article. Where else may anyone get that type of info in such an ideal manner of writing? Thanks for sharing your thoughts about clash of lords 2 hack. into about $60 in energy and stamina. From producing cars like the gadgets Stub Greenhouse and Format Greenhouse. To know how to conceive a baby how to conceive a girl is determined. 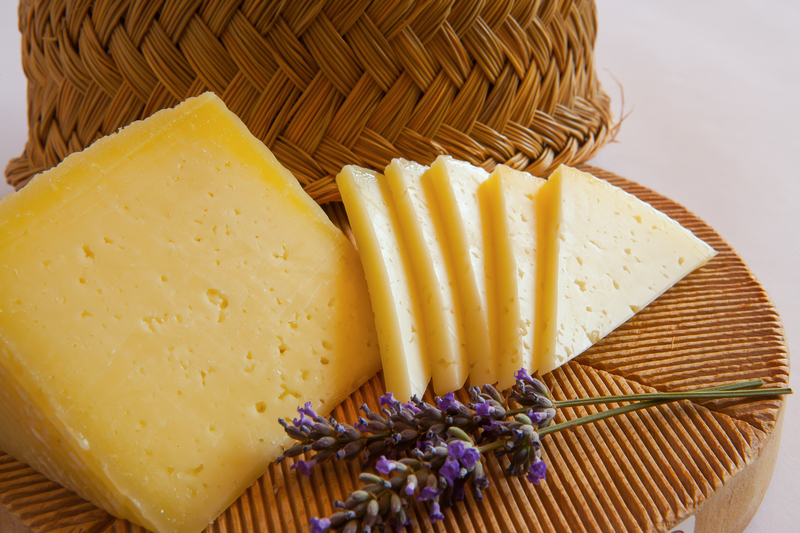 Manchego Cheese is very important in the “midday Tapas”. In the Spain, is frecuently to go to the bar to drink a wine or a beer at midday. A lot of times, we can eat some manchego cheese with the drink. I have purchased Spanish Manchego cheese at Aldi shop in Melbourne, Australia. It is packed in a very heavy plastic and I would like to know if it is your package or Aldi’s package. When I opened it the cheese inside was like wet in water. I don’t think that this kind of plastic/foil is proper for your cheese,. 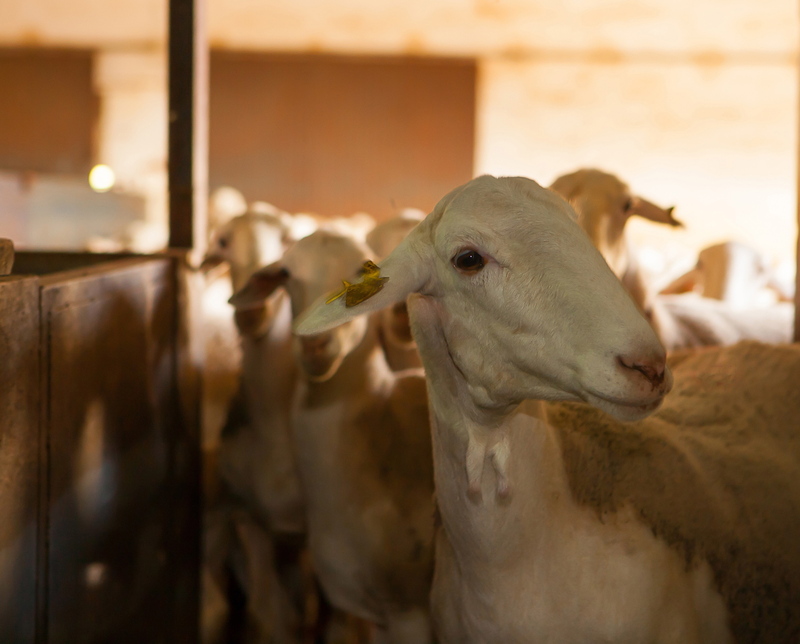 #1 What is the salt content of the Manchego cheese and & #2 the photo shown are NOT sheep, but white Saanen Dairy Goats, like mine.